With its sunny beaches, diverse economy, and booming cities, Florida has long been a desirable state for real estate investors. 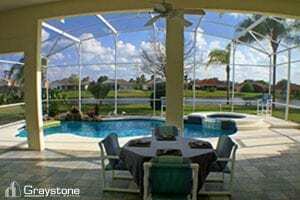 Florida is also a tax-friendly state for real estate investors, providing one more reason to put your property investment dollars in the Sunshine State. Here’s what you need to know about Florida’s tax laws as a real estate investor, as well as an overview of how Florida’s tax system is beneficial for real estate investing. Alongside Nevada, South Dakota, Washington, Wyoming, Alaska, and Texas, Florida does not collect personal income tax. That doesn’t mean you won’t pay income tax to the IRS for federal taxes, but it means you’ll pay less overall income tax in Florida. And even if you don’t live in Florida, you can benefit from the state’s lack of income tax as an investor, which we’ll explain later in this article. But first, it should be noted that Florida taxes corporations that conduct business, earn income, or operate within the state, and that this tax is calculated as a percentage of business income each quarter. This tax ranges from 3.3%-5.5% on corporate earnings over $5,000. However, as a real estate investor, you can avoid this tax, and take advantage of Florida’s lack of a personal income tax to pay a lower effective tax rate on your real estate investments. Now, before proceeding to talk about specifics regarding taxes relating to real estate investing in Florida, remember that we are not accountants or tax layers, so consult your tax and legal professionals before doing anything relating to taxes and real estate investing. With this in mind, let’s continue. When conducting real estate transactions, collecting rent, or earning commercial property dividends from a Florida real estate investment, you will be taxed at the state’s 5.5% franchise rate if you operate as a “C” type corporation. You can get around this by filing as an “S” corporation, but there are still easier ways to escape business taxes in Florida. The solution, then, is to use local real estate professionals to find, purchase, rehab, maintain, and manage your investment properties. Though this cuts into your profits compared to self-managed real estate investments, investors aggressive enough to invest out-of-state probably use these professionals for all their real estate holdings. If you are interested in real estate investing in Florida, consult your tax and legal professionals to learn how you can take advantage of Florida’s tax laws. Hopefully, you can significantly increase your profits by avoiding state income tax in Florida. Then when you are ready to find real estate investment properties in Florida, we hope you allow us to show you the profits that can be generate by real estate investments in the Greater Tampa Bay area. To start working with Graystone Investment Group, please fill out our Investor Profile or contact us direct.